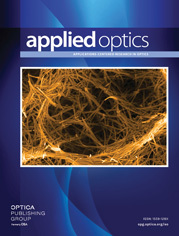 The author is with Technical University of Denmark, Light & Optics, DK-2800 Lyngby, Denmark. The optical resting point of a polarimetric sensor is normally reached by using a fixed retarder plate. It is shown that this retarder plate can be omitted by using 90° prisms of selected glass materials. The sensitivity of the prism retarder toward changes in wavelength and temperature is mathematically analyzed, and it is shown how the stability of the retarder system is influenced by the selection of materials and production tolerances on prism angles. A practical example is given.